Jacobs Well Area Guide - What makes Jacobs Well so great? Where do Jacobs Well locals go? Great for a dip all year round! Probably the best beer garden in Guildford over two levels. You will always be in the sun and to top it off, views over famous Guildford Castle. Eton Mess and chargrilled pineapple from Black Bison - they also serve delicious steak! A delightful coffee shop with a terrace in the centre of Guildford. A luxury men's retailer founded in 1898 selling classic British formalwear. Amazing live DJs out on the terrace and a great place to get a few drinks and chill out at the weekend. A favourite for the lunch stop, with a great selection of sandwiches. Takeaway Thai food that does a cracking sweet and sour chicken! Fantastic views and an ideal spot for walking the dog. Plenty of shops, restaurants, cafes and juice bars all under one roof. Share your favourite place to go to in Jacobs Well. "Code breaker and subject of the Imitation Game film, Alan Turing lived at 22 Ennismore Avenue, Guildford." 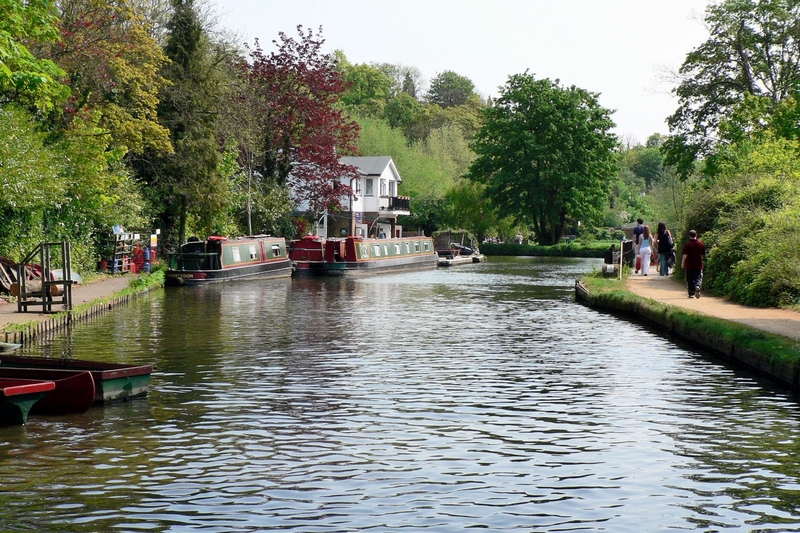 Flowing through the centre of Guildford, you can stroll along the banks of the River Wey and appreciate its charm. The Gresham Mill development offers both beautiful properties and stunning rural views. Guildford Castle has beautiful landscaped gardens that are lovely in the sunshine. Do you live in Jacobs Well, or have you lived in Jacobs Well recently? If so, let us know what you like about living in Jacobs Well. Feedback about living in Jacobs Well has been submitted directly by the public and may not neccessarily reflect the views of Foxtons. The description of Jacobs Well was modified from Wikipedia and is available under the Creative Commons licence. Land Registry data is Crown copyright. All the views and contributions contained within Foxtons Local Life are those of the contributors. All content is assessed before publishing for taste, however free opinion is encouraged. Foxtons accept no payment or sponsorship for content that is posted about Jacobs Well.